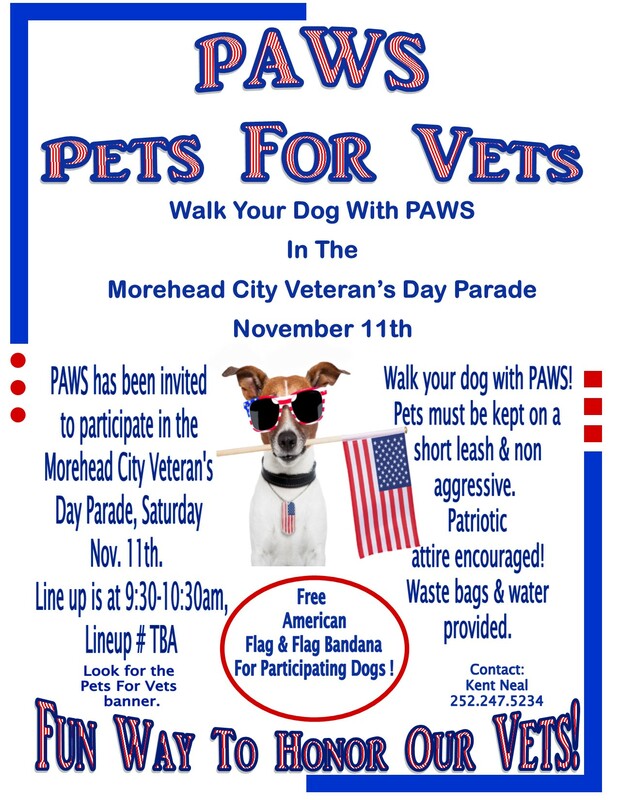 Join us at the PAWS next FUN event “Pets For Vets” and walk your dog during the Morehead City Veterans’ Day Parade on November 11th. This entry was posted on Monday, October 16th, 2017 at 2:24 pm	and is filed under Uncategorized. You can follow any responses to this entry through the RSS 2.0 feed. You can leave a response, or trackback from your own site.